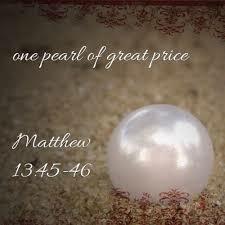 This week we will conclude the series on Kingdom Treasure, as found in Matthew 13:44-46. In order to find the treasure, the man in the parable had to dig. The treasure didn’t show up on his doorstep one morning. He was in the field and he was digging. In the process, the man found something that surpassed the value of everything else he had. Then he made a plan to secure that treasure. Nothing in this world compares to the riches of God. So let’s “throw off everything that hinders and the sin that so easily entangles” (Heb. 12:1). Let’s live like citizens of the Kingdom. See you in church at 9:00 a.m.! !